A teenager if stabbed to death by a vicious gang and returns as a spectral warrior hell-bent on vengeance. This phantom has two forms; a teenage heart-throb, played by Charlie Sheen, and an armour-plated terminator who drives a Dodge concept car. While the heart-throb form seduces the gang-leader's girlfriend the armoured wraith picks of his gang members on the dusty roads in car-on-car duels. The element that strings all these narrative threads together is Randy Quaid's Sheriff Loomis who is trying to piece together the mystery while saving as many lives as he can. It's essentially a slasher movie, albeit one where you sympathise with the killer, and the dramatic elements are engaging enough to ensure that the film doesn't drag between the kills. 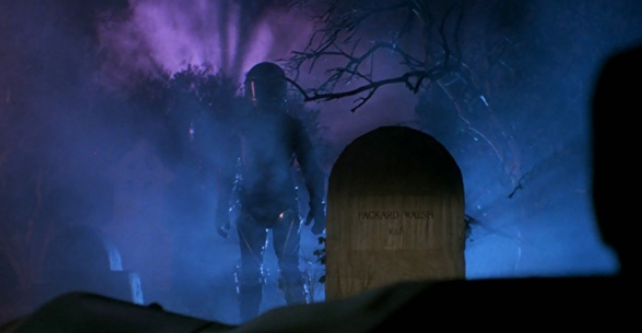 A slasher movie lives or dies by its kills, but since The Wraith only has the basic story beats of a slasher it is free of the usual conventions. 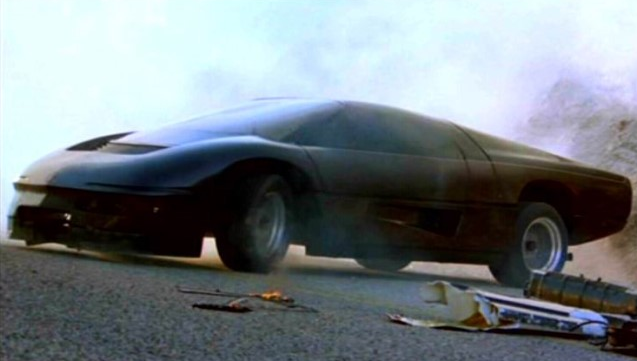 Therefore rather than stab away at gang members the Wraith challenges them all to dangerous races ultimately using some ethereal trickery to run them off the road in a series fiery car stunts. The stunts themselves are the usual stuff and with the exception of an impressive garage explosion most of the cars just roll upside down and explode. The final chase is good fun and the shotgun attack on the gang's garage is a nice change of pace. It's no Road Warrior, but it'll scratch an itch. 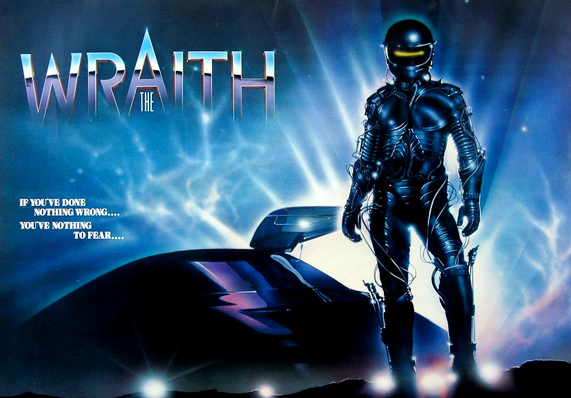 Considering the current thirst for 80's nostalgia I'm surprised this film isn't known more widely. 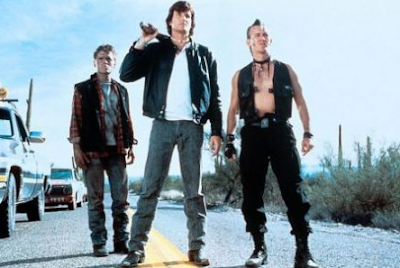 Not only are the cast fairly iconic 80's actors but the movie features a burger bar with roller-skating waitresses, lots of dry-ice cut with blue spotlights and the soundtrack is populated with names like Billy Idol, Robert Palmer, Stan Bush and Motley Crue. It wasn't uncommon when renting videos to be lured in by an awesome VHS cover only to find the movies bears no resemblance (I'm looking at you Deathstalker series) but The Wraith is a rare 80's movie where the iconic image depicted in the VHS cover actually appears more than once in the movie. I have a great deal of fondness for The Wraith and even though its not a great movie by any stretch it is pretty hard not to have fun with. It's currently on Amazon Prime although bizarrely it is dubbed into Dutch. Since I couldn't be bothered to set up my VHS player this is how I watched it and it didn't make any difference really. That's either a testament to the movies visual storytelling or a clear indicator that the dialogue is perfunctory at best. Either way, The Wraith has a cool killer, an awesome car, some good chases and a pre-madness Randy Quaid. What's not to like?